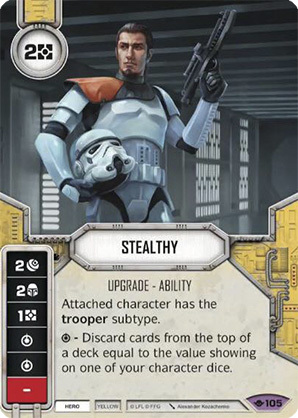 Attached character has the trooper subtype. - Discard cards from the top of a deck equal to the value showing on one of your character dice. Way of the Force #105.